Maine State Route 114 runs north-south in Cumberland County. It goes from the South Portland Area to Sebago Lake. ME St Rt 114 passes through the following towns in Cumberland County. ME St Rt 114 is multi-plexed in Cumberland County. Maine State Route 11, from East Sebago to Naples. ME St Rt 114 crosses the following highways in Cumberland County. U.S. Rt. 1, at Scarborough. Maine State Route 9, at Scarborough. Maine State Route 207, at Scarborough. 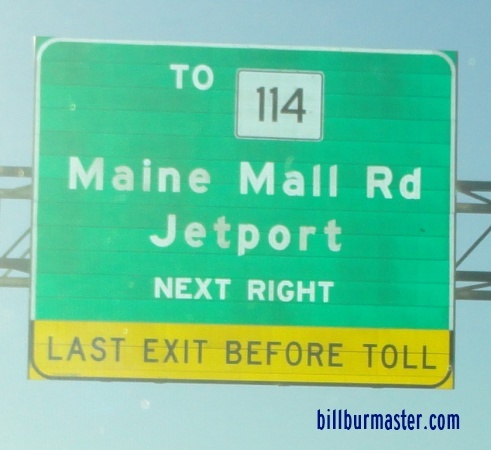 Interstate 95, (Maine Turnpike) near South Portland. Maine State Route 112, at Gorham. U.S. Rt. 202, at Gorham. Maine State Route 4, at Gorham. Maine State Route 25, at Gorham. Maine State Route 35, at Sebago Lake. Maine State Route 11, at East Sebago. U.S. Rt. 302, at Naples. 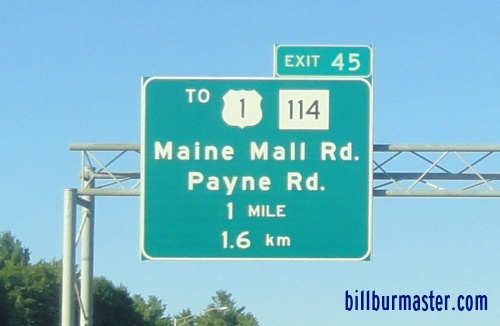 Maine State Route 11, at Naples. A BGS on the WB Maine Turnpike Approach.